With so many safari booking agents and professional hunters offering African Hunting Safaris, the biggest challenge a prospective trophy hunter faces is: where do I go?? who do I book with?? who will be my professional hunter?? These are important questions you should ask before making a commitment to one of the greatest hunting adventures: a hunt in Africa! 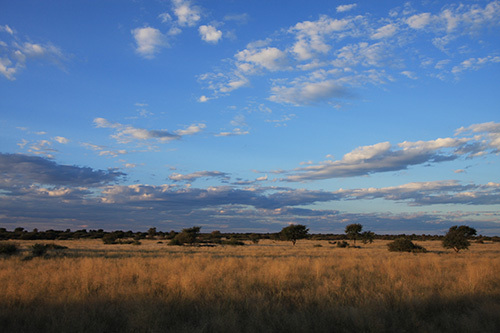 Kalahari Safari is a family run safari operation, situated on 45 000 acres of privately owned land in the Kalahari, only two hours drive from Windhoek International Airport - a true camel-thorn tree and yellow oak savannah. At Kalahari Safari we invite you to experience the unforgettable adventure of an authentic trophy hunting safari in the Kalahari. We are proud to offer exclusive, professional and personalized hunting trips to the discerning hunter and his family. Our plains game hunting safaris are of the highest quality and Aldalene and I leave nothing to chance. Details and memories are of utmost importance to us and we will personally work with you to customize your hunting trip according to your expectations.